VENICE, ITALY - CIRCA JULY 2015: Traditional gondolas in the narrow Venice Canal. Timelapse video. hd00:12VENICE, ITALY - CIRCA JULY 2015: Lonely gondola in the narrow Venice Canal. Zooming in video. 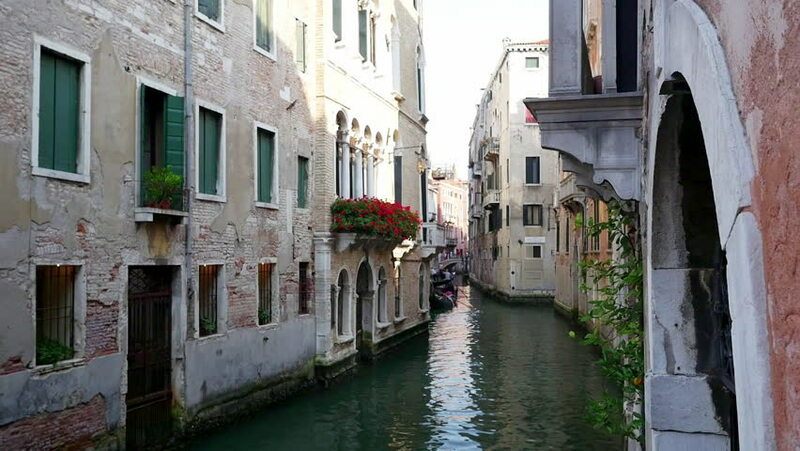 4k00:25VENICE, ITALY - CIRCA JULY 2015: Romantic tour in gondola, rowed by a gondolier in the venice canal.